then this is it! 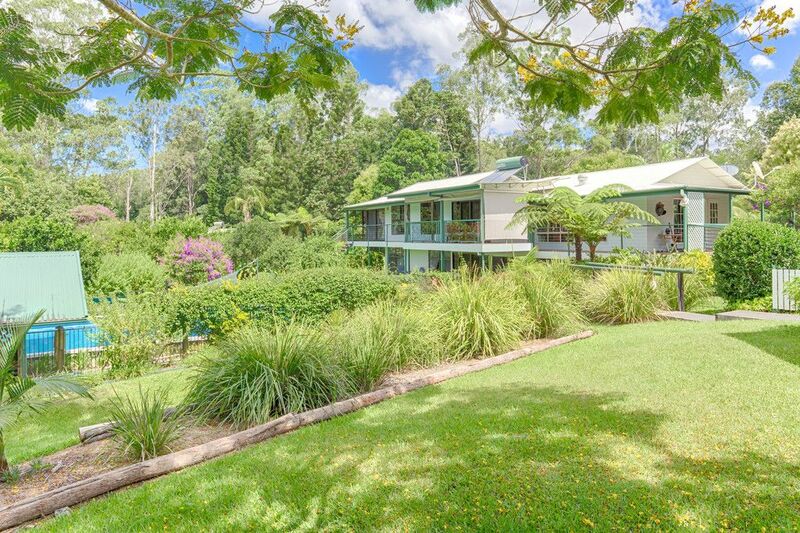 Located on the north-east outskirts of Pomona and surrounded by state forest, this 11.4-acre parcel of land with quality family home and self-contained studio offers lashings of lifestyle, absolute privacy, and total tranquillity, in a magnificent setting. abutted by forest with stunning riding track and trail networks, your privacy is protected, and if you have horses, this is idyllic! The township of Pomona is less than 10 minutes’ drive, and Noosa beaches and amenities are 15-20 minutes. just imagine the good times you can have out here! perfect for the extended family, tertiary student, guest accommodation, or Airbnb. Infrastructure on the property includes: 12x9m shed with 12x6m awning and 4-bay carport, 64,000 litres of tank water with an elevated tank which gravity feeds water to house, three fenced paddocks ideal for horses or cattle, pump to irrigate water from Six Mile Creek to irrigate gardens, solar lights around gardens, and there is machinery which can be purchased with the sale of the property. Underground power to home, shed, studio, and outdoor entertaining assists with aesthetic appeal. There is also a huge dam. Inspections are essential; this is an exceptional property in every sense!